In Jacksonville, Asset Protection is a process where one can protect the family's income and assets from judgments or a garnishment. Asset protection lawyers design asset protection plans to help shield assets from the claims of creditors without violating the rules regarding fraudulent transfer or conveyance. We provide strategies for asset protection by using estate planning, asset protection trusts, and business formation for creditor protection and Medicaid planning. When a creditor or person tries to enforce a judgment there are certain assets and types of income that are protected by Florida Law and the Florida Constitution. It is best to protect your assets and income before an issue arises, but there are certain things that can be done to protect your assets from issues that have already arisen. Our Jacksonville Asset protection lawyers provide asset protection techniques for residents of Florida. Many families look at asset protection to protect from damages, lawsuits, and professional negligence that is common among high risk individuals as well as those who are creating Florida estate plans. Florida asset protection is a process that is used to insulate your assets from creditors and lawsuits. Often, an emotionally charged jury can levy large verdicts that are far in excess of insurance limits. When this happens, you can be responsible for the excess judgment and can lose the assets you have built over your lifetime. An asset protection plan can create a barrier around your family’s wealth and protect if from lawsuits by creditors. The more effective plans use multiple layers and multiple techniques to insulate assets. That way, if a creditor is able to reach one asset there are additional protections around the other assets. We have Florida Asset Protection Trusts that are not subject to the limitations and stigmas of Domestic Asset Protection Trusts and Offshore asset protection trusts. We like to design a system where each asset is protected from the potential liability of the other assets. Our plans typically have no adverse tax consequences like many other asset protection trusts. Tenants by Entireties. This is a form of Florida asset protection that is only available to married persons. It is one of the quickest ways to get asset protection, only works when the couple is married and when the debt is by one person. If both people are responsible for the debt, like in many car accidents, tenants by entireties will fail. In addition, upon the death of one spouse or a divorce, tenants by entireties will also fail. 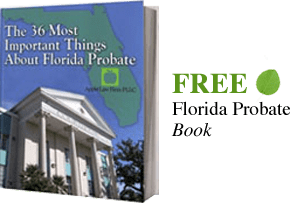 Florida Homestead Protection: Florida allows for the protection of an unlimited monetary value of homestead property (except in the case of bankruptcy). Homestead protection from forced sale is created by satisfying the following requirements: (1) the property must be owned by a “natural person” this includes a trust; (2) the person claiming the exemption is a Florida resident and intends to make or has made the property his or her permanent “residence;” (3) the person claiming the exemption must be the owner of the property; and (4) the property protected is limited to one-half (1/2) acre in a municipality or one-hundred-sixty (160) acres outside of a municipality. If an individual satisfies all of these requirements, then the property will generally be protected. Some exceptions are for: (1) federal and state taxes, and assessments (including homeowners associations); (2) mortgages; and (3) debts incurred to improve the property. Protection from creditors attaches on the first day a person occupies property with the intent to make it their homestead. We recommend filing a “declaration of domicile” which may be filed with the court, but this declaration is not required in order to qualify for homestead asset protection. Florida Statutory Protections: The Florida Statutes contain a many of asset protection provisions. Some of these include 1) protection for “head of household” wages; 2) protection of the cash value of life insurance policies; and 3) protection for annuities, retirement accounts, disability income, 529 college savings plans. Each statute is different and the procedure for ensuring that proceeds are considered exempt and remain exempt may vary from situation to situation. At the very least, proceeds from a protected source should be kept separate, and not commingled with proceeds from other sources, otherwise the protection may be lost. Limited Partnerships and Multiple Member LLCs: While many stay that LLC and partnerships provide asset protection, they really provide the ability to deal a creditor from receiving funds. In addition, it can be very expensive for a creditor to try and receive distributions from an LLC. A creditor cannot force a distribution and can be responsible for the income tax on your portion of the LLC. A limited partnership and a multi-member limited liability company have very similar asset protection benefits, LLCs are much less expensive to form and maintain. Asset protection is available by virtue of the exclusive remedy permitted by Florida statutes by creditors who wish to levy upon a debtor’s limited partner's interest or membership interest in a multi-member LLC. Florida law states that a creditor of a partner or member is limited to a “charging order.” The charging order limits the creditors ability force a distribution of assets from the entity or force the sale of entity. The creditor cannot foreclose against or obtain ownership of the entity itself. The multi member LLC is a good alternative when there are existing creditors, but one must be careful not to violate the fraudulent transfer or conveyance statutes .A knowledgeable Jacksonville asset protection attorney will be familiar with the methods and procedures that should be used to protect assets. These entities will not always work and a complete disclosure of issues must be discussed prior to trying to use the protections afforded to the Limited Partnership or LLC in Florida. IPUG™ Irrevocable Trusts: The IPug™ While most people feel they have to be super rich to use an Asset Protection trust, an IPUG™ Trust is created by you but is not considered a Self-Settled Asset Protection Trust. The IPUG™ Trust makes sense for all families even those who are not subject to estate tax. This form of asset protection can be used in all states and can remove the assets from the reach of Medicaid. It protects client assets from creditors, predators and nursing homes, while permitting the grantor to be trustee and have customized access. The iPug™ Trust was created by utilizing universal, fundamental trust and common law principles dating back to the statute of uses and are not reliant or dependent upon state or federal specific asset protection laws. "In essence, the iPug™ Trust is an Irrevocable Grantor Trust for income and estate tax purposes. Why is this important to most Americans? 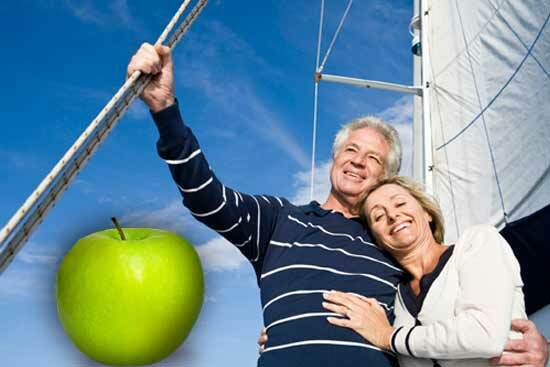 The IPUG™ Trust not only provides advantageous tax benefits, but it also provides asset protection. most irrevocable trusts do not provide the beneficiaries with a full step-up in basis and allow grantor to control funds. One of the biggest sources of liability for Florida residents is their auto, boat, or PWC. The Vehicle trust should be considered to help protect your assets from being lost due to vehicle liability. If you think Asset Protection may be appropriate or you feel that there is a potential risk you would like to limit, CONTACT our Jacksonville Florida Asset Protection Lawyers by email or call us at 904-685-1200 to discuss your situation today.